(LDFAS) is concerned with the cultivation, appreciation and study of the decorative and fine arts and with the provision of assistance towards the preservation of our artistic heritage. It is a member society of the National Association of Decorative and Fine Arts Societies (NADFAS) and is affiliated to NADFAS East Surrey Area. 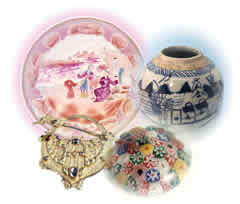 of topics by recognised experts in the decorative and fine arts. Visits are arranged to places of historic, artistic and cultural interest. In many instances guides meet the group for an introductory lecture or guided tour. Study Days are arranged from time to time, devoted to an in-depth examination of a specific topic or aspect of fine arts. The day usually comprises three lectures and lunch. Tours of typically 3-5 days in either this country or Europe are also arranged from time to time. Where they meet. St Peter’s Hall, Limpsfield, normally on the last Wednesday of the month, from September to June. No further information will be posted here. Peter Ainsworth, MP for East Surrey presented the prizes in the Tandridge Primary Schools Art Competition, Limpsfield Decorative and Fine Arts Society. 18 of the 26 state primary schools in the Tandridge District submitted entries which were judged by Adrienne Parker, a local professional artist and James Carrett, Head of Fine Art at Oxted County School. Click here to see the winning pictures.